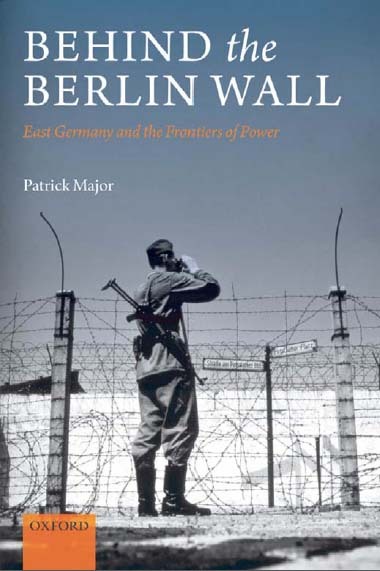 Few historical changes occur literally overnight, but on 13 August 1961 eighteen million East Germans awoke to find themselves walled in by an edifice which was to become synonymous with the Cold War: the Berlin Wall. This new history rejects traditional, top-down approaches to Cold War politics, exploring instead how the border closure affected ordinary East Germans, from workers and farmers to teenagers and even party members, 'caught out' by Sunday the Thirteenth. Party, police, and Stasi reports reveal why one in six East Germans fled the country during the 1950s, undermining communist rule and forcing the eleventh-hour decision by Khrushchev and Ulbricht to build a wall along the Cold War's frontline. Did East Germans resist or come to terms with immurement? Did the communist regime become more or less dictatorial within the confines of the so-called 'Antifascist Defence Rampart'? Using film and literature, but also the GDR's losing battle against Beatlemania, Patrick Major's cross-disciplinary study suggests that popular culture both reinforced and undermined the closed society. Linking external and internal developments, Major argues that the GDR's official quest for international recognition, culminating in Ostpolitik and United Nations membership in the early 1970s, became its undoing, unleashing a human rights movement which fed into, but then broke with, the protests of 1989. After exploring the reasons for the fall of the Wall and reconstructing the heady days of the autumn revolution, the author reflects on the fate of the Wall after 1989, as it moved from demolition into the realm of memory.